This is the fastest, easiest, best recipe ever. Like crazy delicious. 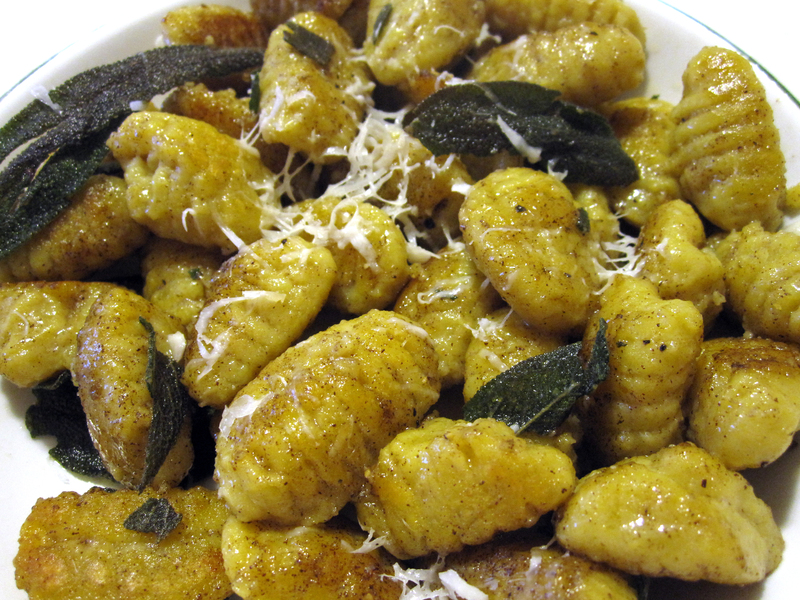 I bought the gnocchi at Murray’s- great to just have on hand in your freezer. Then all you have to buy is the sage- and your set. Dinner in 10 minutes. Cook gnocchi according to directions. As always, check a few minutes before time prescribed on box– it seems to take like 3 minutes less than they say. Put butter (I’d say about 1 tablespoon per serving of pasta maybe) in a small skillet. Saute until browned- about 3 minutes. I chopped a few leaves of sage, and left another couple whole. Add sage into butter. Let it saute another minute– watch it fry. Add gnocchi back in- stir around to coat. Take off heat. Salt & pepper to taste. Add a couple grates of Parmesan. Deciphering the mysterious “Jess P.”‘s comments is more time-consuming that figuring out 6 seasons of LOST.